KAWS’s art stands within the historical continuum that began with Pop Art, straddling the line between fine art and global commerce. From his 16-foot tall sculpture “Companion” (Passing Through) to his recent 32-foot tall wooden sculpture “Small Lie”, his artworks are immediately recognizable as he transforms iconic pop culture characters into thought-provoking works of art. His work possesses a sophisticated humor while utilizing a refined graphic language that revitalizes figuration with big, bold gestures and keen, playful intricacy. 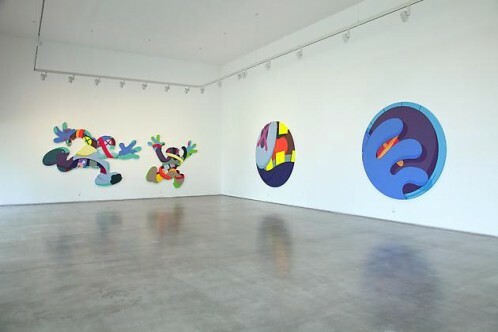 By producing fine art via thoughtful interplay with consumer products and collaborations with global brands, KAWS moves beyond the sphere of the exclusive art market to occupy a more complex, global market.